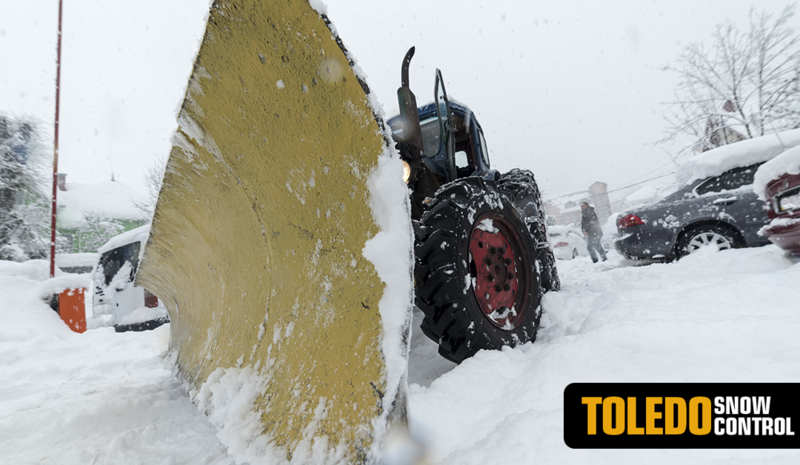 If you haven’t already hired a commercial snow removal service, it should be at the top of your to-do list. From snow plowing the parking lot to de-icing sidewalks, the right snow and ice removal contractor will make sure your commercial property is always prepared for winter weather. In this blog post, we will explain why you’ll need to hire a snow removal contractor if you haven’t already. As a commercial property owner, it is your responsibility to keep your parking lot safe for drivers and pedestrians. In the winter, this means keeping your parking lot clear of snow and ice by hiring a professional snow removal company. If someone slips and falls on the ice or has a car accident in your parking lot due to unsafe conditions, you can be held liable. This means that you could be sued in a personal injury lawsuit to cover medical expenses, loss of wages, emotional trauma, and more. Avoid the headache of a lawsuit by hiring a commercial snow plowing service. That way, your parking lot remains a safe place throughout the long Indiana winter. A commercial snow removal company will be able to work with you to determine the most convenient times for parking lot plowing. You are also able to specify how much snow is allowed to accumulate before the company can plow. Before the first snowfall, your contractor should meet with you to determine the best locations for snow piles that won’t interfere with your business. During the worst winter weather, you should be able to count on your contractor to keep your parking lot, driveway, and sidewalk clear of snow and ice. Did you know that potential clients starting judging how well you run your business as soon as they pull into the parking lot? A treacherous parking lot that hasn’t been plowed in a while can make a bad first impression on potential clients and make it difficult for people to safely walk into the building. Likewise, a plowed and salted parking lot can make the impression that you care about the safety of your clients and employees. If your parking lot hasn’t been plowed, it can be difficult for drivers to see where the lines are for parking. For this reason, you’ll want to make sure you hire a contractor who will plow commercial parking lots regularly during the winter. When drivers aren’t able to see parking lot lines, they err on the side of caution and park farther away from adjacent vehicles than what is necessary. When this happens, you may lose a few parking spaces if you don’t hire a reliable contractor for snow removal . Don’t leave your business unprepared for the coming snow. Toledo Snow Control can clear any commercial lot and make sure that you’re open for business. We are proud to provide expert commercial snow removal services in Toledo and all surrounding areas; Bowling Green, Perrysburg, Maumee, Sylvania, Oregon, Holland, Temperance, Bedford and Monclova. GET A FREE QUOTE!